Joseph’s Home is the only Northeast Ohio organization of its kind: offering acutely ill homeless men temporary shelter that provides medical respite to promote healing and long-term self-sufficiency. 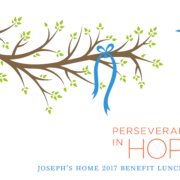 Joseph’s Home will hold it signature fundraising event—Perseverance in Hope—Thursday, June 15 at 11:30 a.m. at Windows on the River in Cleveland. In addition to door prizes, a raffle, silent auction and lunch, the fundraiser features a panel discussion with four alumni who will discuss their experiences in the program, how they ended up at Joseph’s Home and how it has positively impacted their lives. 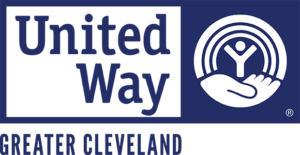 Dan Moulthrop, CEO of The City Club of Cleveland, will serve as emcee for the luncheon and will moderate the panel discussion. Moulthrop was appointed CEO of The City Club of Cleveland in 2013. Prior to joining the City Club, he was co-founder of The Civic Commons, an organization promoting civic good in the field of social media. He’s an award winning journalist, a former radio host and high school teacher and a graduate of UC Berkeley’s Graduate School of Journalism.